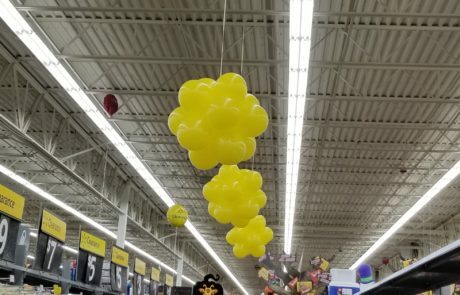 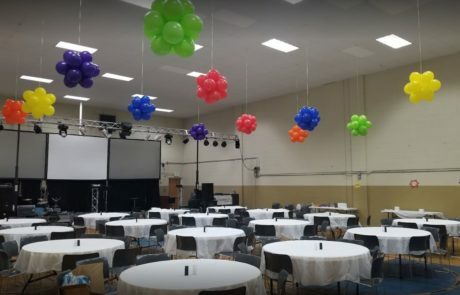 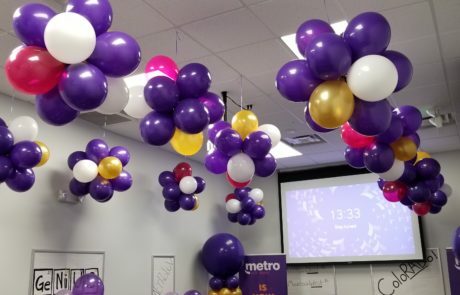 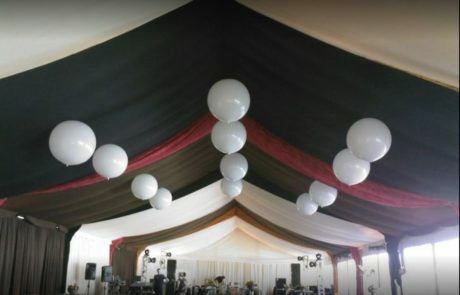 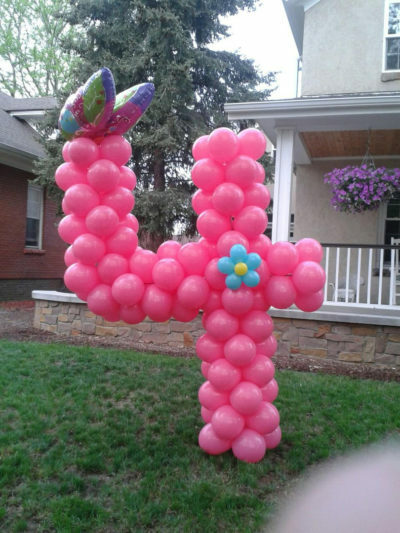 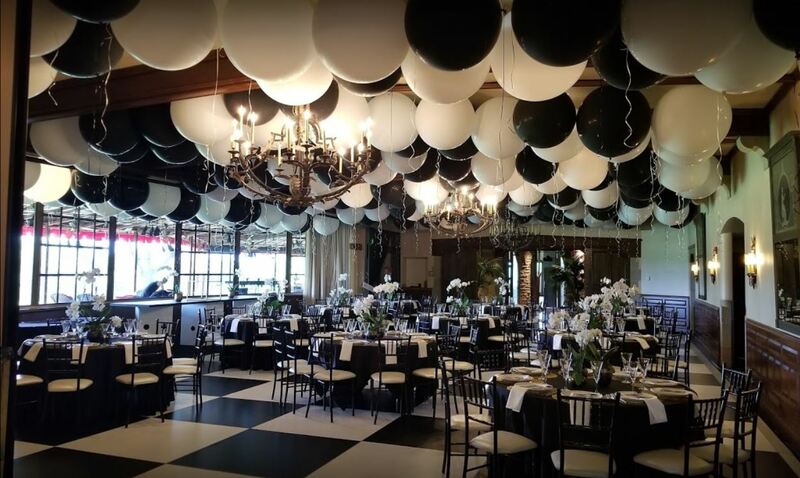 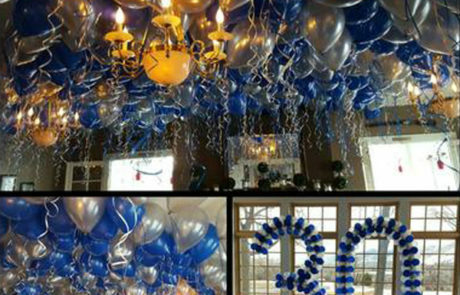 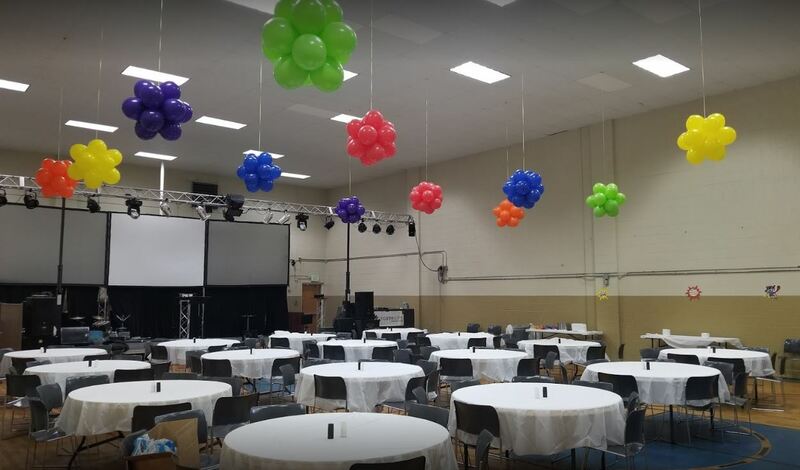 Ceiling balloon decor can make really make your event stand out by enhancing the event space. 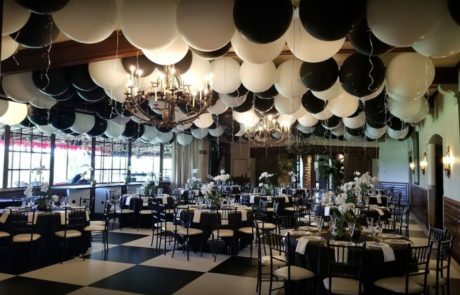 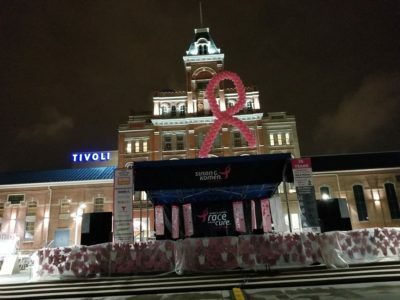 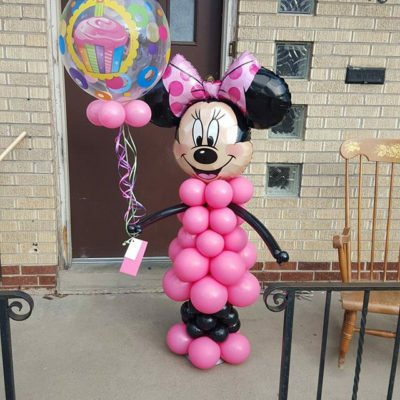 This type of decor can also add an awe inspiring feel to your event, especially suited for events like New Years Eve, Weddings, Christmas parties or any other event that demands something different. 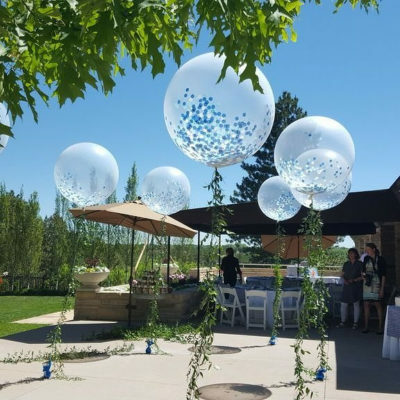 If you are looking for yet another way to make your event stand out for your guests, considering using us to set up some ceiling decor. 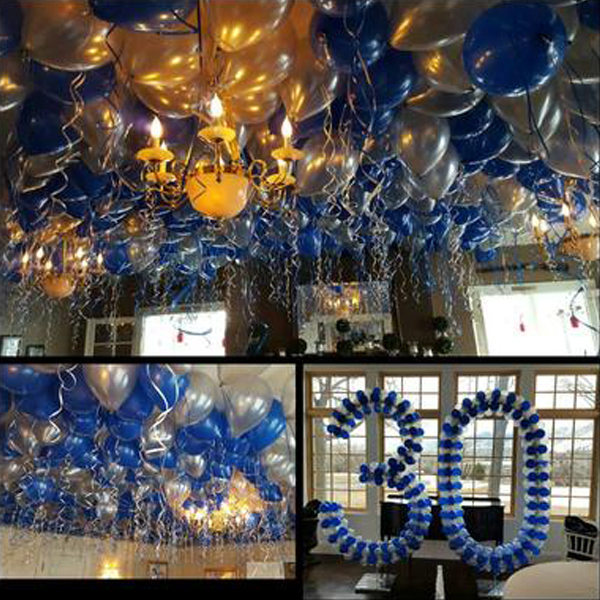 You can keep it simple or you can go all out with full ceiling coverage decor. Whichever option you go with, you can be assured your guests will be impressed!